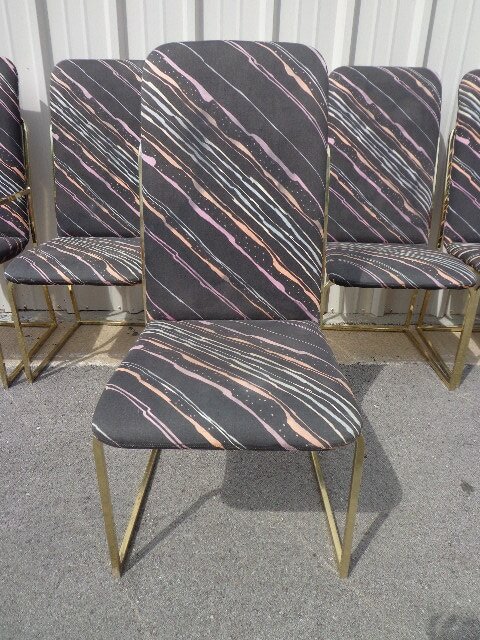 Fabulous set of 6 dining chairs by Milo Baughman for the Design Institute of America. 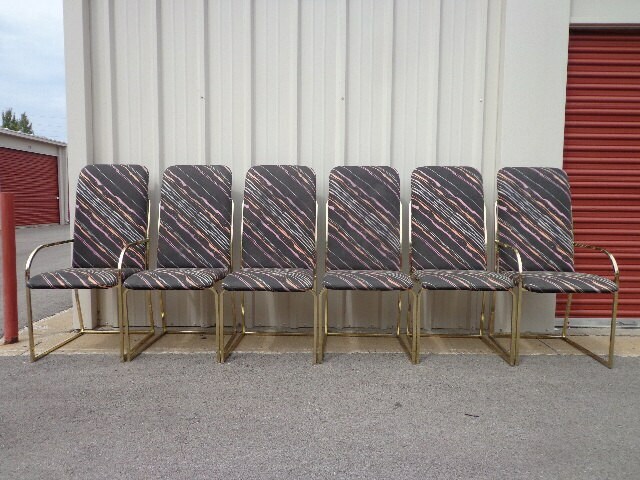 Classic mid century modern / regency inspired shape and design. 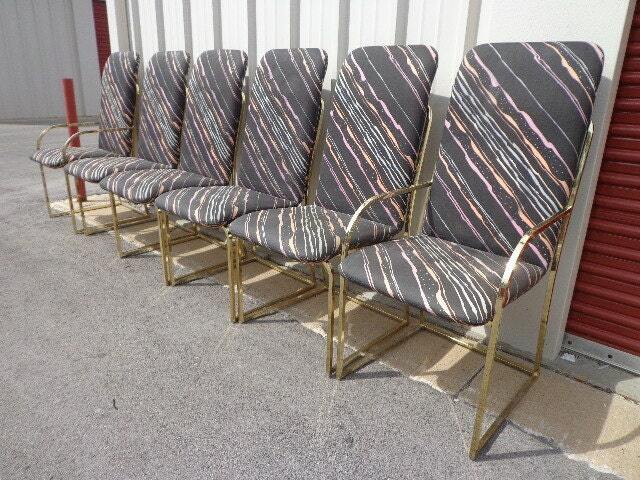 Solid frames and fabric covered seats. Original DIA tags still attached. 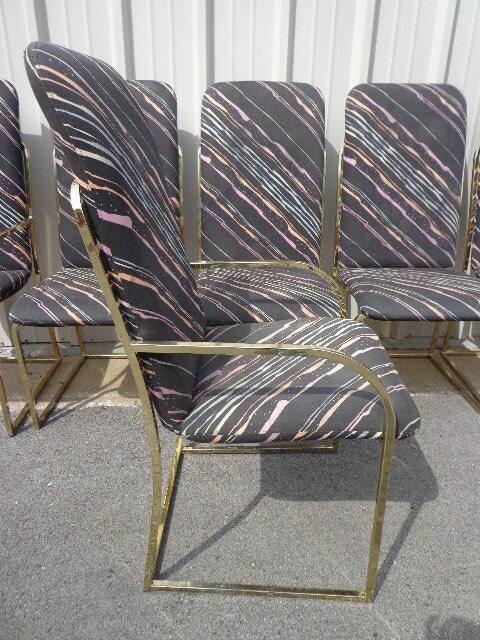 Includes 2 armchairs and 4 side chairs. Overall good vintage condition, normal wear from age/use. The frames are solid and sturdy. 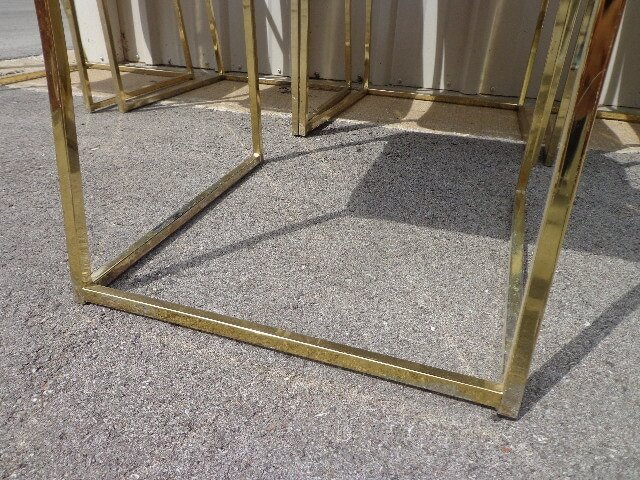 The surface of the frames show wear from age / use. There is wear to the fabric and it would benefit from recovering. These need to be recovered for a fresh, updated chic look.